ShortVort.com has been around for over 10 years, allowing people to share find the right short vort for the occasion. Tremendous expense and work has been spent over the years on designing, securing and running the website, and a large part of those expenses are still being incurred as you read this. 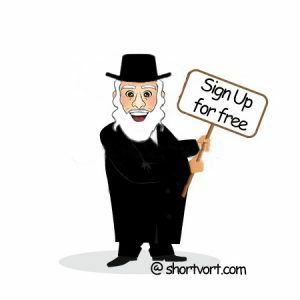 If you have benefited from ShortVort.com please consider making a contribution to the continuation of the website and the continuation of spreading Torah worldwide at the click of a button. Many sponsorship opportunities are available. Please email donate@shortvort.com for specifics. Alternatively, please email donate@shortvort.com if you have any questions or if you want to arrange an alternative way to make a donation, including different currencies and charity receipts.